Have a sudden craving for sushi? Consider Itacho Sushi! 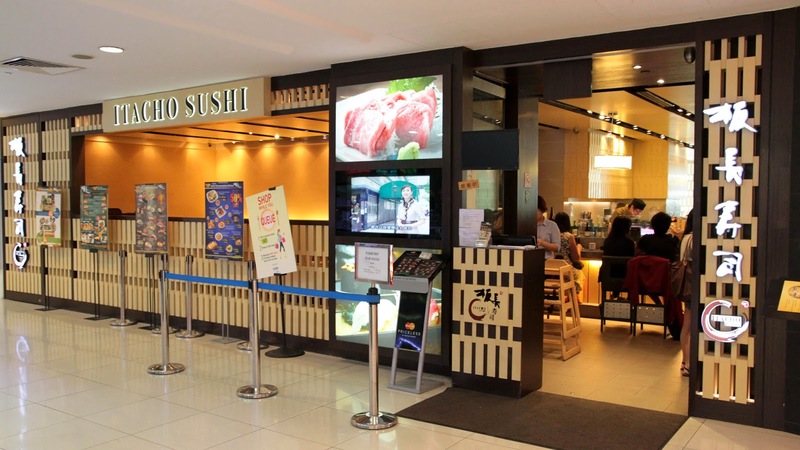 They have a great weekday lunch menu which comprises various donburi to sets of assorted sushi. Go for the Ume Set where you will be served salmon in three different ways - Fatty salmon, smoked salmon and a roasted salmon roll. The Fatty Salmon is seared using a bowl torch which brings out the texture and flavour of the salmon! You will be given a slip of paper to indicate your order. Even though they may seem short handed, the service is excellent. Limited to two per person. Arrive early to avoid disappointment! 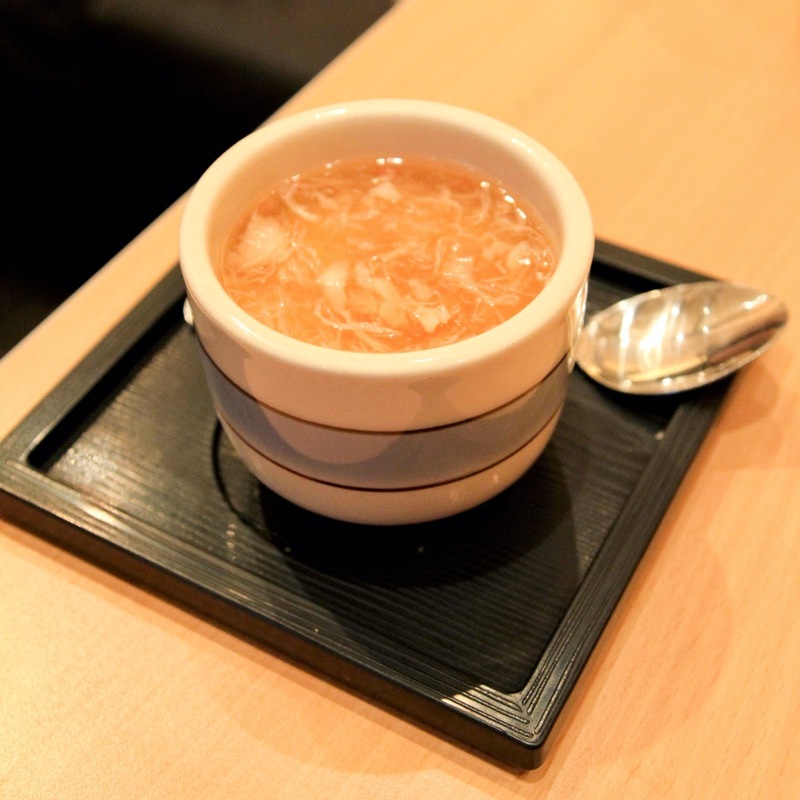 The steam egg with crab meat a.k.a chawanmushi is included in the set meal. Smooth silky custard-like egg. 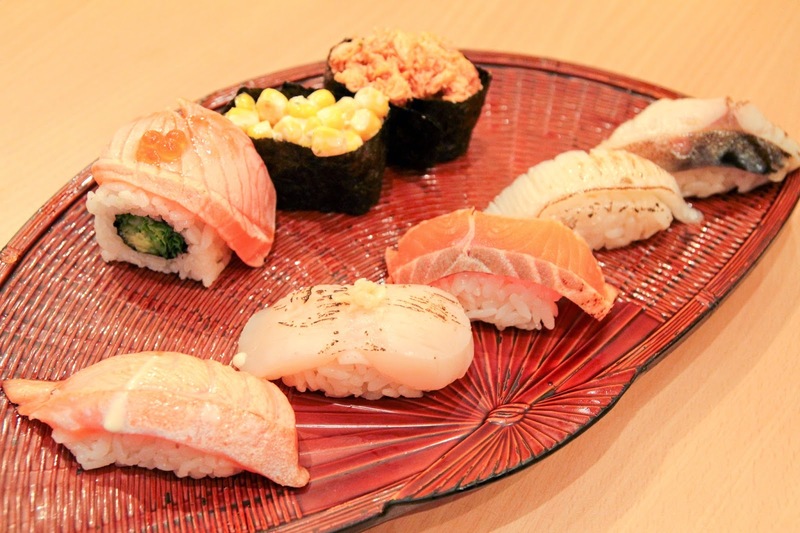 The term sushi, literally means "it's sour". It stems from an ancient grammatical form that is no longer used in other context. The "sour" description comes from the ancient way of preparing sushi by fermentation, generally seafood, packed in rice with salt used as a preservative. The vinegar produced from fermenting rice ends up breaking down the fish meat into amino acids, in turns results in a strong Unami flavour. Once the meat is properly fermented/preserved, the rice is thrown away. 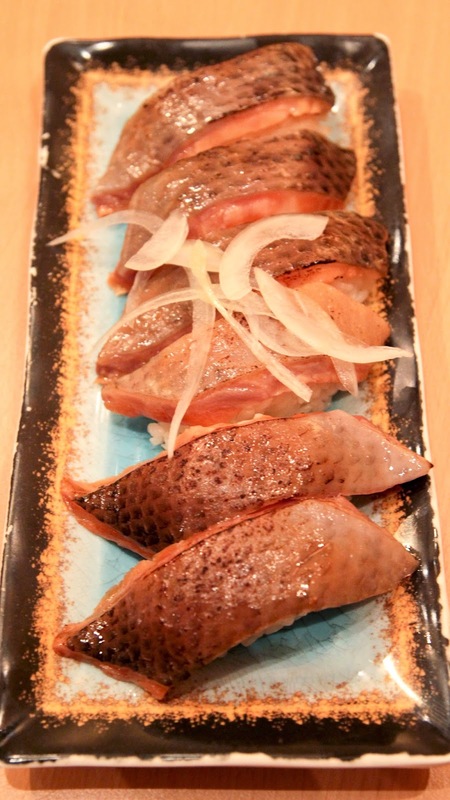 However, the modern form of sushi that we are more familiar with comes with rice that is now the main part of the meal. 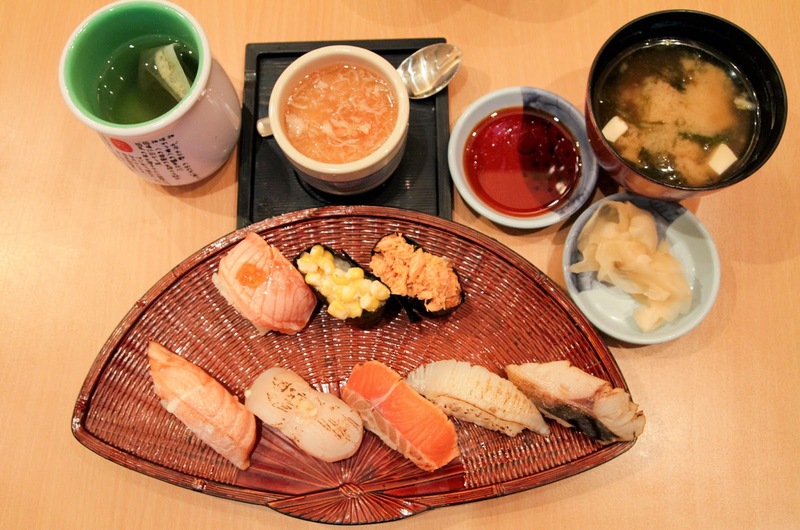 Created by Hanaya Yohei in the 19th century, the "sushi" today is prepared quickly. This makes Sushi one of the earliest forms of fast food. - The fatty salmon and smoke salmon. MUST HAVE.